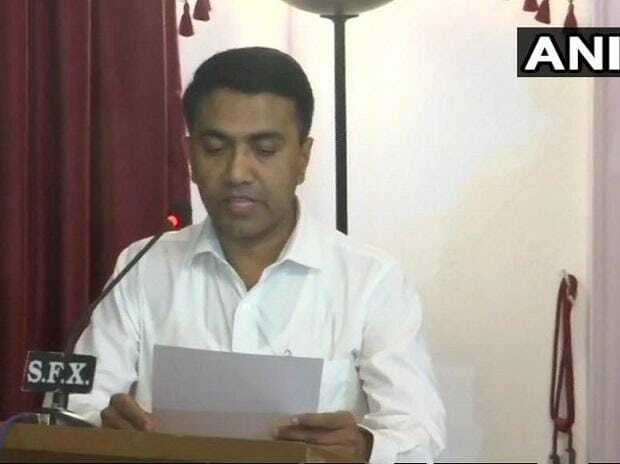 From being an ayurveda practitioner to being the Goa chief minister, 46-year-old Pramod Sawant has come a long way. The two-time MLA from Sankhalim in North Goa, Sawant, who was Speaker of the state Assembly, is a dedicated RSS worker. His elevation to the top post in the coastal state followed hectic parleys between the BJP and its alliance partners. Sawant's political career began in the BJP as a youth leader. A staunch Parrikar supporter, he had worked closely with the late leader. He won the 2012 and 2017 Assembly elections from North Goa's Sankhalim constituency, which used to be a Congress stronghold. He was among the few BJP MLAs who got re-elected in their constituencies during the state polls two years ago, when the party managed to win only 13 seats as compared to t 21 in the 2012 elections. When Parrikar cobbled up an alliance with the Goa Forward Party, the Maharashtrawadi Gomantak Party and Independents in 2017 despite the Congress being the single largest party, Sawant was elected the Assembly Speaker. Sawant holds a Bachelor's Degree in Ayurveda, Medicine and Surgery from Ganga Education Society's Ayurvedic College in Kolhapur district of Maharashtra. His wife Sulakshana heads the BJP Mahila Morcha in Goa.